Uber is defending its business model in Europe’s highest court today. 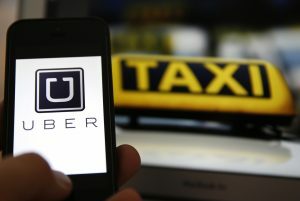 The Court of Justice of the European Union (ECJ) could label Uber a transport company rather than a digital service, a designation that could hobble the company. That ruling would subject the company to stricter rules on licensing, insurance and safety. Judges in Luxembourg heard oral arguments in the case today. The ride-hailing app expanded into Europe five years ago. As it disrupts existing business practices, it has faced protests, bans and legal action in numerous countries. The company has faced local or national bans on at least some of its services in Germany, Belgium, the Netherlands, Spain and Hungary. In October, a tribunal in London said its drivers were entitled to minimum wage and paid holidays. Uber has come under attack from established taxi companies and some EU countries for its business practices. Many regulators and taxi companies have argued that Uber is ignoring rules aimed at protecting passengers and drivers as it has steamrolled into countries across Europe. Lawyers for Spain, Ireland and France have also argued that Uber should be treated as a transport company. Uber says it is an “information society services provider” that matches drivers with passengers, a designation that should give it protection under existing EU laws. Online-service providers have the freedom to provide services anywhere in the EU without facing disproportionate licensing requirements. The European Free Trade Association (EFTA), the Netherlands, and Estonia say the company merely provides a connecting service between the passenger and a driver. Uber has its European headquarters in the Netherlands. An ECJ adviser is expected to give a non-binding opinion in the coming months prior to the judges giving their verdict. A ruling isn’t expected until next year. A loss in the case could result in app-based startups facing tougher regulation in Europe. Online home rental company Airbnb and food delivery company Deliveroo are closely watching to see how the case plays out.